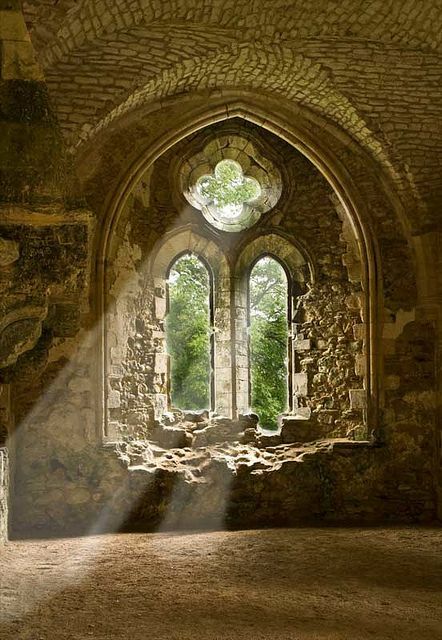 Netley Abbey is a ruined late medieval monastery in the village of Netley near Southampton in Hampshire, England. The abbey was founded in 1239 as a house for Roman Catholic monks of the austere Cistercian order. Despite being a royal abbey, Netley was never rich, produced no influential scholars nor churchmen, and its nearly 300-year history was quiet. The monks were best known to their neighbours for the generous hospitality they offered to travellers on land and sea. In 1536, Netley Abbey was closed by Henry VIII of England during the Dissolution of the Monasteries and the building was converted into a mansion by William Paulet, a wealthy Tudor politician. The abbey was used as a country house until the beginning of the eighteenth century, after which it was abandoned and partially demolished for building materials. Subsequently the ruins became a tourist attraction, and provided inspiration to poets and artists of the Romantic movement. In the early twentieth century the site was given to the nation, and it is now a Scheduled Ancient Monument, cared for by English Heritage. The extensive remains consist of the church, cloister buildings, abbot's house, and fragments of the post-Dissolution mansion. Netley Abbey is one of the best preserved medieval Cistercian monasteries in southern England.